Sileria Now Featured on Clutch! Our mission at Sileria is to develop software applications of the highest code and product quality possible. We strive to supersede all expectations while remaining in touch with current and future technologies. 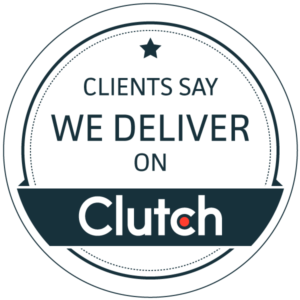 We have always recognized our expertise in app development, and our clients have too; this is why they rated us highly on Clutch as one of the Top App Development Companies in Los Angeles. Clutch is a B2B ratings and reviews platform that connects small and medium size businesses with the top performing agencies and developers that best meet their needs. They have a unique methodology that takes into account a firm’s ability to deliver, their market presence, and most importantly, their client reference reviews. We are thrilled with our profile on their site and the in-depth interviews they conducted with our clients. Checkout our testimonials page to see what other clients are saying! A big thanks to our clients for taking the time to share their experiences working with our team! We enjoyed reading your feedback and can’t wait to hear more from you as we expand our presence in the app development industry. Will America Continue to Trust Facebook or Just #DeleteFacebook?